Yet another excellent tasting with Marc Udy from Villa Maria, ably assisted by Kirsty Warbrick, presenting a range of great wines including some from their Platinum Range. Marc is one of the winemakers from Marlborough. He was a good speaker and the consensus is that the winery has been really easy to deal with. To reiterate the tasting included the Cellar Selection Rose 2018; Reserve Wairua Sauvignon 2018; Single Vineyard Seddon Pinot Gris 2018; Reserve Marlborough Chardonnay 2016; Platinum Selection Pinot Noir 2018; Cellar Selection Grenache 2017, rounded off with the Cellar Selection Late Harvest Riesling 2015. An enjoyable night. What is orange wine if it’s not from oranges? 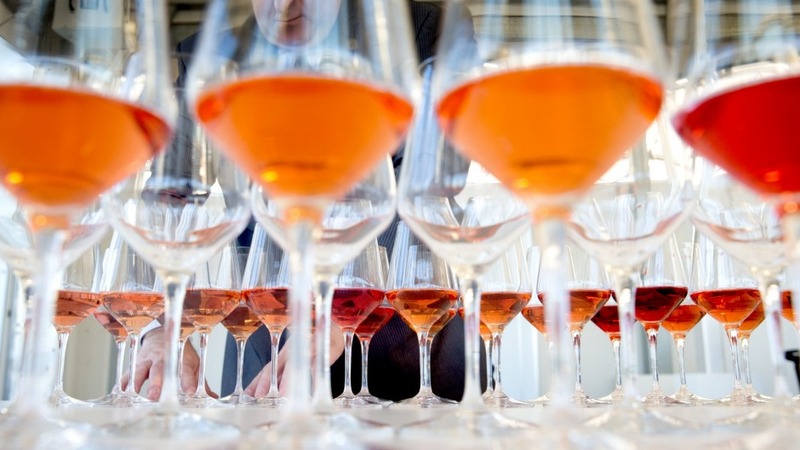 Orange, some say, is the new rosé, occupying the demilitarised zone between red and white. 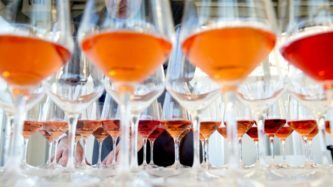 The colour crosses a spectrum – from pale apricot to enraged Trump, all the way to amber – but what’s really different about orange wine is the way it’s made. Traditionally, red wines are made from the juice of red grapes plus grape skins. Whites are made without skins. Orange wines are made from white grapes but get the red-wine treatment – the juice is macerated with the skins, a technique dating back 8000 years to wine’s birthplace, Georgia. 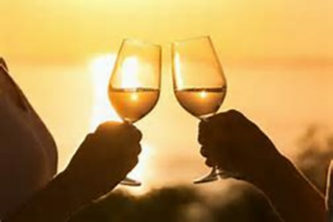 The resulting texture, tannin and colour means these “skin-contact” wines have more in common with reds than whites; styles vary from fruity, floral or earthy to sour and funky. What is natural wine and why are people so excited about it? Natural winemaking is a broad church in which wines are generally (purists say must be) made from grapes grown without commercial chemicals. 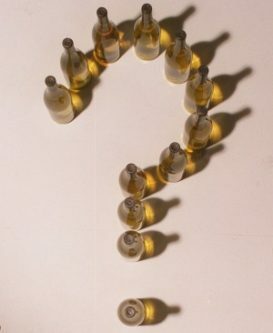 Processing takes place with minimal “intervention” – so, for example, the wine may not be filtered to remove cloudiness. 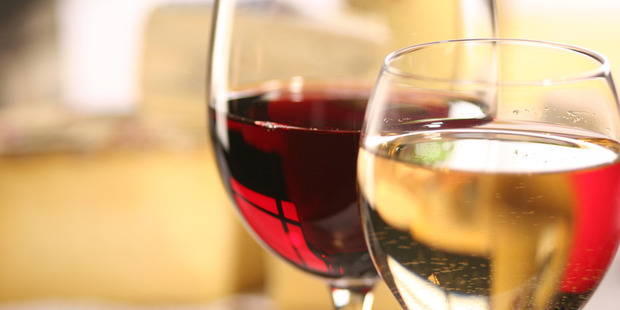 Additives, such as sulphur dioxide – used for centuries to keep wine tasting fresh – are shunned or kept to a minimum. It’s a departure from the kind of large-scale industrial winemaking that values hygiene and consistency over quirks and imperfections. As with conventional wines, quality varies hugely. There’s no regulation of what’s called natural, so if you’re going that way to avoid chemicals, look for certified organic or biodynamic wines – they’re more likely to be what you’re paying for. When made by winemakers of skill and integrity, the best natural wines celebrate quality, individuality and character – hallmarks of all great wines, regardless of whether they’re pitched as natural. 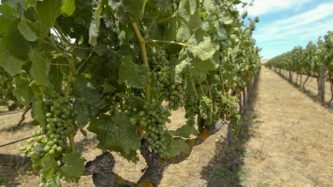 What’s better – Pinot Gris or Pinot Grigio? Same grape, different name – one name is French, the other Italian, with “gris” and “grigio” both meaning “grey”. In Europe the French approach to making gris produces a highly perfumed wine with plenty of mouthfeel; grigio from Italy is often (not always) a crisper, lighter wine. “Better” is in the eye of the beholder – good news is they’re all food-friendly styles. So in short, no difference in the grape, just the name. Why might some wines contain traces of eggs, fish or milk? Egg whites with fish bladders and milk: a dish that might make guests at a Game of Thrones banquet actually welcome the post-dinner massacre. Yes, it’s medieval stuff – each of these has been used for centuries to “fine” wine. Fining is a process in which one or more of these proteins is dropped into unfinished wine to bind with components that taste bitter, astringent, or are likely to make the wine hazy. They are then removed. Traces, as the label states, may remain. If any of the above have been used you’ll find them listed on the label as allergens. The fish bladder derivative also goes by the name isinglass and is rarely used in Australia but egg whites and milk products are still common. How long will a wine keep after it’s been opened? Like fish and houseguests, opened wine smells less appealing after three days. Aim to finish an open bottle over no more than two nights. As a rule of thumb, red wines stay in condition for longer than whites (some robust reds taste better on day two). Exposure to air changes the aroma and flavour of opened wine, so reseal a bottle you’re not planning to finish in one go. A bottle that’s mostly full will last better than one with only a glass or two left. It’s about the proportion of air to wine – more air in the bottle means faster deterioration. Store an opened bottle upright, not on its side. If you keep a clean, empty half-bottle handy, decant unfinished wine into that – it will stay fresher than in a full-size bottle. Otherwise, start scouting wine-saving devices. What a great evening with Mark and Susan. A nice blend of where they have come from and an outline of where the business is going now. Their business in Martinborough has taken an upturn with the introduction of platters at their tasting room. This has guided them into the tourism area and is looking very promising for them. To recoup on the wines we started with the Rose 2017 as the quaffer. It is a dry style rose but with huge fruit sweetness and flavours of strawberries and raspberries. That was followed by the dry Pinot Gris and the two drier Gewurtztraminer’s. After a break we tasted the 2012 Pinot Noir, followed by the Reserve Pinot from 2013, which was a superb wine. It won a gold medal from the Air NZ Wine Awards. We then finished with the sweet Auslese Gewurztraminer 2013 (Pamela) that is a luscious wine. Some good orders which was very pleasing for Susan and Mark. There were two things following from the evening. With harvest fast approaching there is often a need for pickers. If you are interested please let them know. Secondly, Haythornthwaite will give Club members a 10% discount at the tasting room. 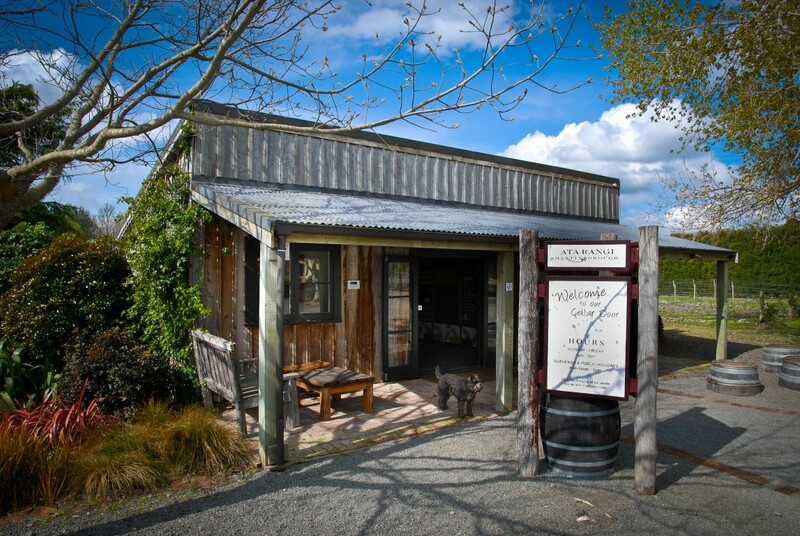 Give it a try, a trip to the Wairarapa, a platter and a tasting of some really nice wines. What more could you want? We were finding that working too far ahead occasionally left us in trouble with late cancellations so your committee decided to arrange tastings a little closer to the time. This does not seem to be working out so well and we are in repair mode over the April tasting. 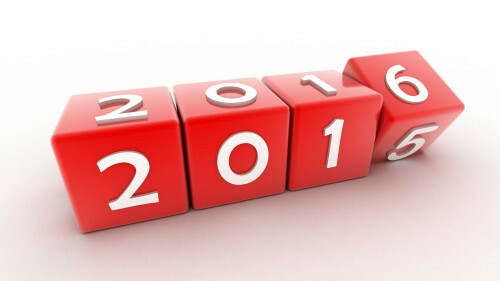 Rest assured though that something will be arranged that will meet the usual high standard of our events. At the February summer romance tasting, I mentioned that the Lansdowne wines could be purchased. The offer was not taken up at the time but is still on the table. Lansdowne produces three wines and they are of a very high quality. There was some really good feedback on the Pinot Gris on the night. The wines have been bottle aged but will all cellar well. The Pinot Gris is $19.55 while their Pinot Noir and Syrah are more expensive at $38.25. These prices include a 15% but are only available through me. Let me know if you are interested. Shows the value of reading the label fully. The Montana Wines mentioned will say “Wine of Australia” on the back. Clearly to be avoided if you want to be sure you are drinking NZ wines. The Bolney Wine Estate was delighted to receive the prestigious ‘Winery of the Year’ award at the inaugural UK Wine Awards. Spearheaded by English Wine Producers’ Julia Trustram Eve and members of the EWP and the UK Vineyards Association, the UK Wine Awards is the national competition for wine produced from grapes grown in England and Wales, inspired by the growing popularity of English and Welsh wines. 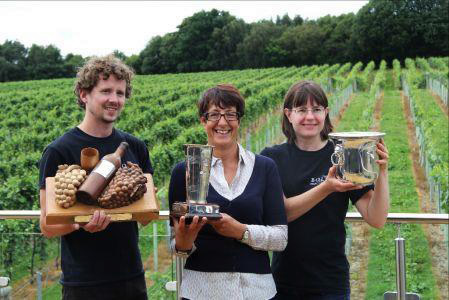 The respected title for the Sussex-based winery, which is run by Sam Linter, is testament to the hard work Sam and her team have put into The Bolney Wine Estate. The ethos at the winery is to produce the best wines possible and ensure quality is at the heart of everything – something which has clearly paid off. The high standards Sam has set – from maintaining the highest level of viticulture and vinification to the training the staff receive – has seen the winery go from strength to strength. Bolney also won ‘Top Still Wine’ and ‘Most Outstanding Single Varietal Wine’ for its Foxhole Vineyard Pinot Gris 2016 with judges remarking it is “a delightful example of Pinot Gris; pure, expressive and fragrant with notes of honeysuckle and spiced pear.” A dry white wine with fragrant aromas of rose, jasmine and conference pear, the palate is wonderfully rich and creamy with a slightly honeyed character – a perfect summer’s wine. Despite a last-minute hitch over the presenter for this tasting (a family bereavement intervened), we were able to arrange for Keith Tibble, Eurovintage, to present, at very short notice, what transpired to be a wonderful tasting. The wines presented were great wines and Keith has said that he would be available to present other tastings. It is very useful to have someone like Keith who can step in at comparatively short notice. 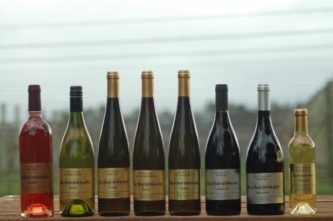 On this occasion, we were lucky enough to have the Ata Rangi wines on hand. Great effort from him and from Murray who was organising the tasting. The evening went very well and what a great turnout. Jane Hunter presented well and at the right level for the club. The turnout included some members from Western Hills Wine Club, and it was lovely to be their hosts for the evening. The wines were good and at a good price resulting in a very high number of orders. Jane enjoyed the evening and commented that next time she would present bubbles and a Gewürztraminer as part of the programme. Feedback from members indicated that they enjoyed the evening and it was a great tasting. It was useful that although a bit reluctant, and there was an issue of the batteries having flattened, Jane used the microphone headset and we were all able to hear what was being said. The wines presented on the night included; Hunters Pinot Gris – 2016 (quaffer), Hunters Riesling 2012, Hunters Chardonnay 2015, Hunters Sauvignon Blanc 2016, Hunters Rose 2016, Hunters Pinot Noir 2014, and the Hukapapa Dessert Wine 2014. Wine experts have settled on a list of close to 50 wines, some costing more than $100 a bottle, for Air New Zealand to select from for its business class passengers. Six of the nation’s leading independent wine experts have selected “The Fine Wines of New Zealand” – to serve in planes from September. One of the key criteria was consistency, with a wine having had to have been produced to an ”exceptional standard” for a minimum of five consecutive years. Air New Zealand chief operations officer Bruce Parton says the airline had been a longstanding supporter of New Zealand’s wine industry. It spends about $6 million a year on wine for passengers throughout aircraft. “We believe we can help further build awareness and appreciation of these world class wines with international travellers and propel leading New Zealand wineries to even greater commercial success,” Parton said. The wines would be promoted through its inflight entertainment system, at offshore events and using contacts internationally to help open up key export markets for the wineries should they need this support. The airline’s specialist inflight wine consultants, who are based in New Zealand, China and the United States, will select wines from the list for serving in business premier cabins. Not all on the list of 47 would make it on board as some do not react well to high altitudes or are available in sufficient quantities. Parton said it was important that the wines were selected independently of its existing wine programme. 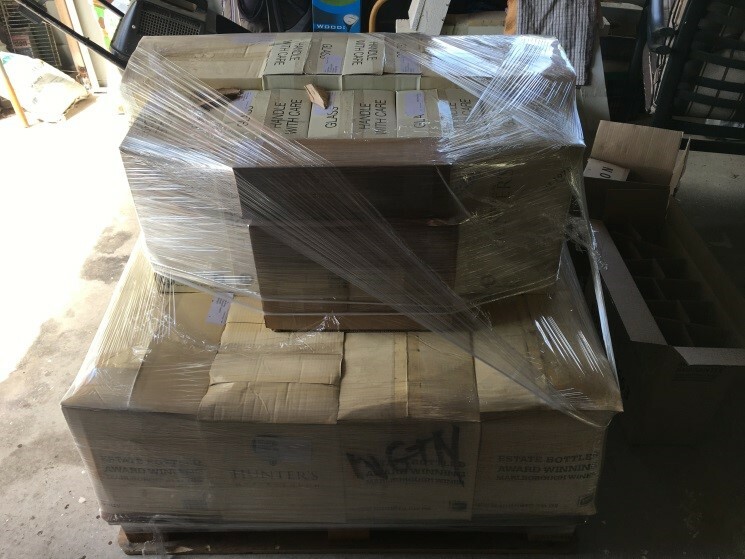 In 2014 Air New Zealand moved to a three-year deal with a single supplier, Villa Maria, in its economy section which upset some in the wine industry, but which the airline said had been part of simplifying the supply chain. Here we go again, launching into 2016 with an interesting and unique tasting. Read about the philosophy of AWCO. 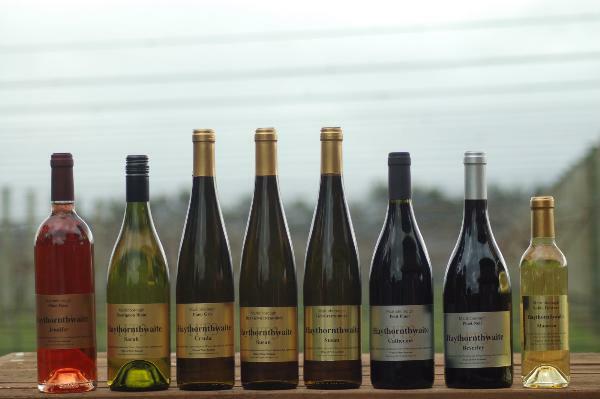 The wines will include Rosé, Riesling and Pinot Gris with a mix of Pinot Noir from the different producers. Should be a great night. We are going to Argentina in March and Pegasus Bay in April leading up to the AGM in May. There are also some interesting tastings in prospect for later in the year. Another year, another wine (or two). A Hawke’s Bay Syrah has won the top prize at the 2015 Air New Zealand Wine Awards, presented last night at Nelson’s Saxton Stadium. The Church Road McDonald Series Syrah 2013 won the prestigious Air New Zealand Champion Wine of the Show Trophy, as well as the Fruitfed Supplies Champion Syrah Trophy. Chair of Judges and Master of Wine Michael Brajkovich said the Church Road McDonald Series Syrah 2013 was one of the fuller-bodied Syrahs in this year’s competition. “It’s a wine with lovely ripe black fruit and floral Syrah characters, and very well-handled subtle oak influence,” said Mr Brajkovich. “The palate is full-bodied, with rich berry fruit and firm tannins to fill out the finish and ensure a long maturation potential. There were strong trophy contenders across the 16 classes, but the winners prevailed by having that “extra something special”, Mr Brajkovich said. The second highest accolade of the evening, the O-I New Zealand Reserve Wine of the Show Trophy, went to the Lake Chalice The Raptor Chardonnay Marlborough 2014. This exceptional Chardonnay also won the Rabobank New Zealand Champion Chardonnay Trophy. Air New Zealand Chief Operating Officer Bruce Parton said the airline was a longstanding partner of the New Zealand wine industry, which continued to produce some of the world’s best wines. As well as the 18 trophies awarded, 36 Pure Elite Gold Medals and one Elite Gold Medal were announced at the dinner, which was emceed by TV3’s Hilary Barry and Mike McRoberts. This year’s competition saw 1,407 wines entered, 99 percent of which were accredited as being sustainably produced. 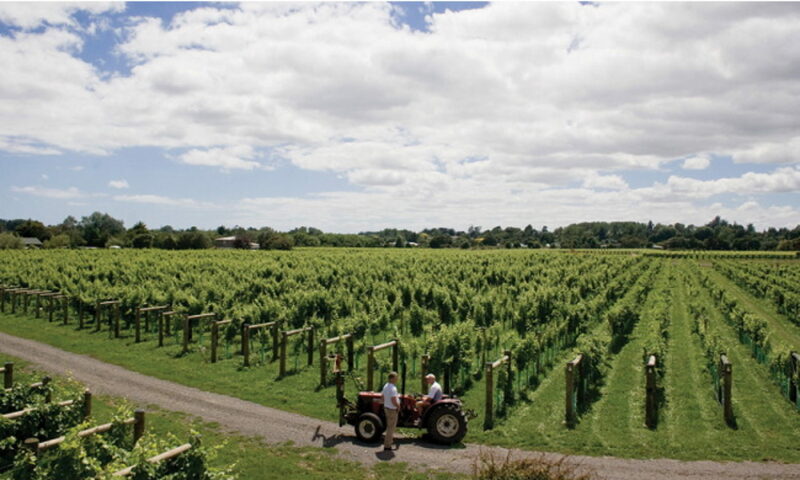 The Air New Zealand Wine Awards celebrate excellence in New Zealand winemaking and are widely considered to be the country’s most prestigious wine competition. 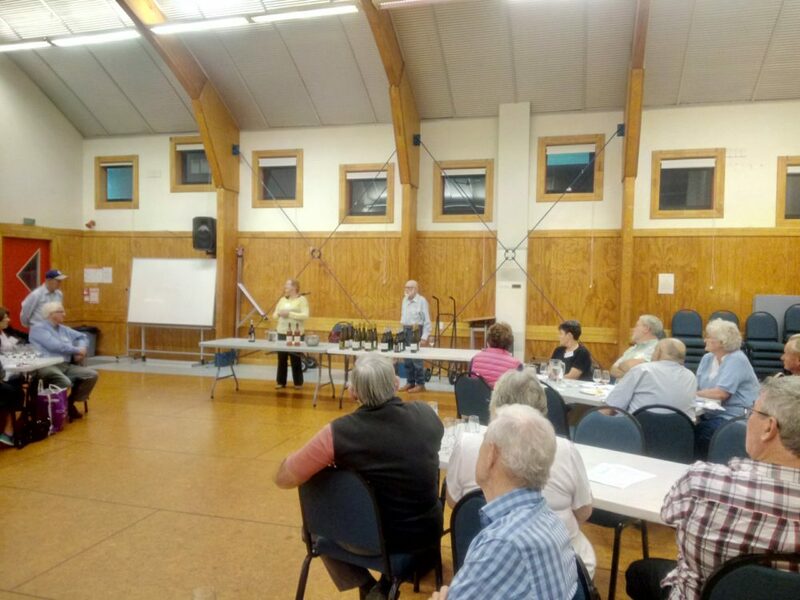 New Zealand Winegrowers, the national organisation for the country’s 1,600 grape growers and winemakers, has owned and organised the competition for 40 years. 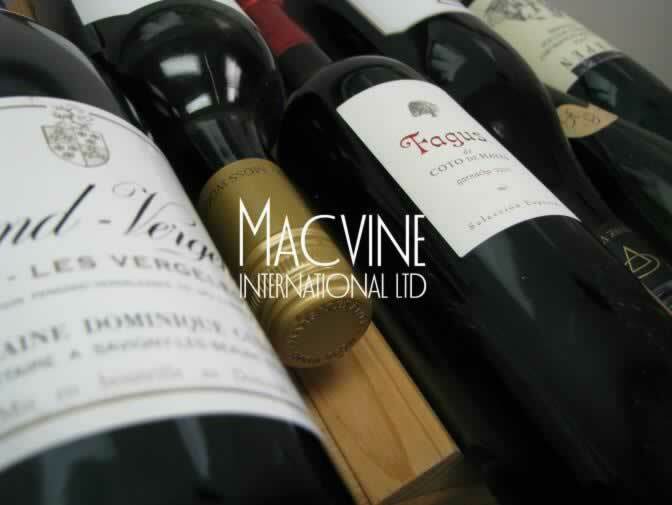 An interesting evening hosted by Michael Jemison, Macvine International. Michael displayed a good style while giving a good level of information during the presentation. However, the turnout at 32 was a little disappointing. Some great discounts offered for those who purchased. The wines offered included; Ca Di Rajo 2013 Prosecco Superiore Valdobbiadene DOCG Millesimato Extra Dry; Yerring Station Yarrabank Cuvee 2010; Andre Delorme Terroir d’Exception Blanc de blanc NV; Kerpen 2013 Riesling Kabinett; Dumangin Brut le Rose Premium Cru NV; Dumangin Premier Cru Vintage Champagne 2003, and all rounded off with a Clark Estate Noble Pinot Gris 2011.